Pinball News is pleased to recommend these other fine sites from around the world. They are listed alphabetically. Machine and parts suppliers have now moved to the much larger list found in our new The Directory section. If you have a website you think we should include, just send us a message using the CONTACT US box on the right side of this page. Dutch Pinball made a big impression when they announced their first title and took it to a number of pinball shows. 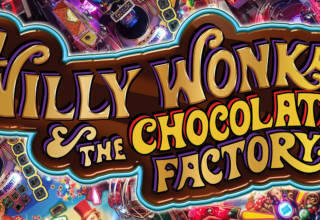 The Big Lebowski is due to go into production in Summer 2015 and promises to the the first of a series of machines from the Utrecht-based company. Game manufacturing is currently outsourced to a company in Germany. Based in Ebbw Vale in South Wales, the company has already built 250 promotional games for Bacardi. Heighway Pinball’s first full-size pinball game – Full Throttle – is still in production, with future titles already lined-up, including Alien Pinball. 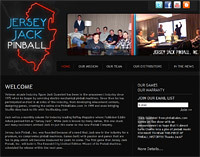 Jersey Jack Pinball’s site serves as an introduction to the new company and the members of the team building their games. On the website you can also read the update messages sent to subscribers to their mailing list and find out how to buy The Wizard of Oz and The Hobbit machines. 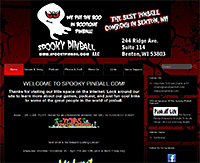 Spooky Pinball have quietly and conscientiously built up their pinball design and manufacturing business in Benton, Wisconsin. Their first game was the Ben Heck-designed America’s Most Haunted of which 250 units were built. This was followed by Rob Zombie’s Spookshow International, and they have more pinball projects in the pipeline. Stern’s site provides details of the company’s current and archived products, providing links to pictures, brief rules and software downloads. It also includes details on how to buy their products, where you can play them, videos of their most recent games and a number of blogs with links to press coverage of pinball events. 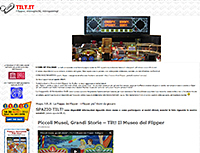 Associazione Italiana Gioco Flipper – A.I.G.F. 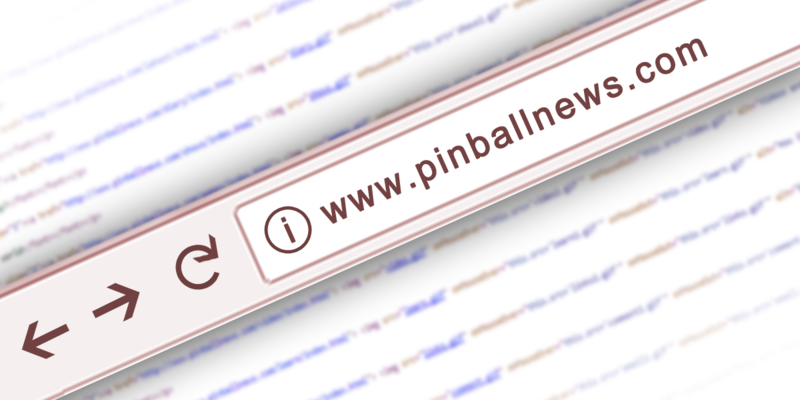 The Flipper Sportverein Austria website is dedicated to promoting pinball ownership, playing in leagues and competitions across Austria, as well as providing news and information about events in the pinball world. There is also a discussion forum, a pinball locator, pictures of gamerooms, and a newsletter. Apart from being the home of the WPPR ranking system with around 15,000 registered players, and the website of the IFPA World Championships, the IFPA also promotes competitive pinball around the world and organises a number of tournaments through their Country Directors spread across the world. The NFV, or Dutch Pinball Association, publishes the quarterly Spinner magazine for its members, holds the annual Dutch Pinball Open, runs a club house in Veenendaal which is also used for the Dutch Pinball Masters, organises regional leagues across the country, and much more. Formed in 2008, Aussie Pinball has quickly become the home of the Australian Pinball community. Collectors and hobbyists from Australia and around the world share stories, document restorations and technical tips on all things pinball. The preservation of pinball and sharing the knowledge is their focus. When you want to get out and play some games, Barcade is the place to turn to. 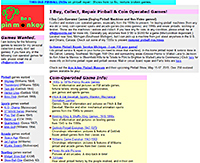 Listing game locations across America, Barcade also features reviews of games, an events diary along with game and location ratings and a forum. Before you head out, take a look at Barcade. If you’ve got a pinball game, you’ve got to maintain it and fix any problems. Bell Springs publish the book “Pinball Machine Care and Maintenance” which show you how to keep your game in tip top condition. They also send out a free e-mail newsletter with tips, historical information and trivia. The home of the Simpson’s Pinball Party and Fish Tales owners lists, Bucci’s Arcade also has a good selection of sound samples from various games and details of an impressive gameroom line-up. Each game has several pages devoted to it and there are plenty of pictures available. If it takes a coin, it belongs on this website devoted to all things coin-operated. From arcade games to shopping trolleys by way of washing machines, no device is left uncovered. You can leave your own comments about the machines and search the archives for previous reports. Just about everything you could ever want to know about this classic Bally game, including downloads, history information, the owners’ list and an interview with artist Greg Freres about his work on the game. There are also hints and tips for game restoration, maintenance and playing techniques for the game. A great French language site with lots of articles about restoration, electronics and other practical information. To get the most out of the site you need to register but that gives you access to the forum area where many of the other sections reside. This Belgian site (don’t worry – there’s an English version too) contains a good range of hints, tips and ideas from fixing circuit boards to making your own custom game parts. With clear pictures and waveforms, it’s a great site for pinball game repairs and modifications. Another great Belgian site with an English language version. 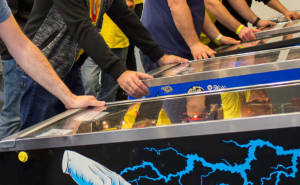 Flippers.be features a large number of detailed articles about all aspects of pinball from show reports, book and game reviews, through a full restoration guide, to the pinball basics like how to take out the backglass and remove the head. An excellent French language site founded in 1997 and featuring forums on pinball, jukeboxes, arcade video games and slot machines as well as game sales advertisements, illustrations and manuals from all the manufacturers, scans, artwork, pictures, list of show dates in France and all over Europe, and lots of articles about restoration and repair. An excellent publication covering not only pinball but jukeboxes, slot machines, video games and vending machines. In short, everything for your game room. There’s a wealth of pinball publications available to buy and lots of other information on the site. A great resource detailing just about every pinball game ever made. There is a comprehensive search engine and it includes links to external sites with rulesheets and other information about the games. This site covers everything you could want to know about setting up your own home gameroom. That is the choosing, buying and moving of the games themselves, the lighting, decoration and stories about how various people became involved with pinball. The home of the New York City Pinball Association features the Metro Report – a database of locations to play pinball in and around New York – as well as a number of interesting articles and videos about people living in the city and their games. 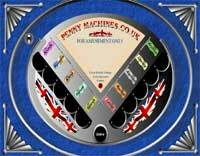 Available in Flash and non-Flash versions, this UK site is dedicated to the beautifully crafted and ornate coin operated amusements from the start of the last century up until 1970. There’s a comprehensive library section, a discussion forum and you can even try your hand at some of the games in the arcade section. 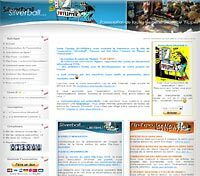 This excellent Portuguese language site covers pinball events and news for the Brazilian pinball fans. It includes an active forum and classified ads as well as articles and polls. You can download ROMS and service manuals or join the Brazilian Pinball Club. 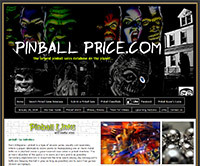 The home of the Pinball Price Guide is also filled with information and links about pinball’s history from its earliest days with the transformation from Bagatelle, to the present day and the latest Stern Pinball machines. Plus, of course, there are links to purchase the latest edition of Pinball Eric’s price guide. Pinball Gallery is the website of Raphael Lankar’s pinball museum just north of Paris and contains a many pictures of the pinballs, bingos, slots and other coin-op products in his collection. This includes many rare and unusual models as well as assorted foreign conversions of US games not often seen on display. Run by Michael Burke, Pinball Links not only provides details of many fine sites, but also catalogues numerous personal web pages with pinball games in them. There’s also a comprehensive list of games in the Wellington area. 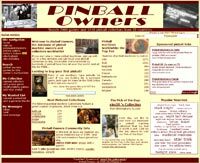 If you own a pinball machine, this is the place to register it and get in contact with fellow owners. You can leave interesting details about each game, add photos, rank its condition and let potential buyers know if you’re thinking of selling. Registered users can also display their location, games owned and preferred type of machines. The site is available in English and Italian versions. 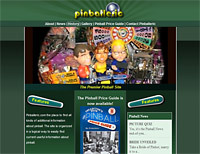 Pinballprice.com is the place to find out how much pinball machines have sold for in the US at auctions and on Ebay. Historic data goes back to 2009 so you can see how prices have varied over the years. Plus you can submit your own sales results and find out about upcoming auctions. When it comes to maintaining and repairing coin-operated games of all kind, Clay Harrell’s Pin Repair site contains a veritable wealth of information. There are specific guides for common problem areas such as flippers which go into quite some depth and are best printed out for reference. A great resource for real pinball fans. This site contains loads of sound samples and tunes, pictures, and perhaps most importantly, details of all the hidden features found in so many games. The site is also home to the owners lists for The Addams Family Gold and Earthshaker! 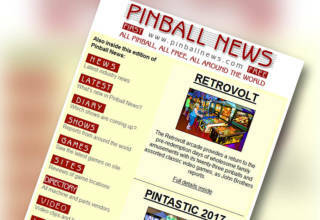 Pinballz.net calls itself an international community and it is the place for pinball fans from many countries to meet and talk pinball. Messages are mainly in German but English posts are also encouraged. With around 40 different discussion areas there’s bound to be something to interest you. 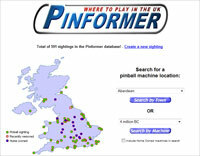 Pinformer maintains a list of pinball machines on site in the UK. You can search the database for either a particular game or location. If you spot or play an unlisted pinball game you can rank it, describe the condition and let people know how much it costs for a game. Pinformer also allows private collections to be added so you can find fellow pinball collectors around the country. The relaunched Pinside features a mix of general articles about pinball, details of specific games and a bunch of customisable features. 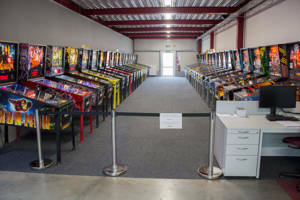 But the most popular section is the forums which has become the favoured place for pinball fans to discuss the game, new machines, new products and technical repairs. A good range of rulesheets for pinball games from Scott Piehler. Most dot-matrix games are covered as well as many other solid-state ones. 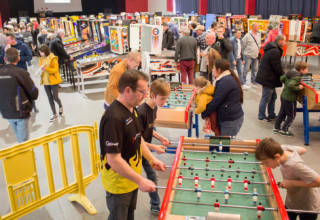 Silverball is the French pinball association with the aims of promoting pinball in France, boosting competitive play and organising the annual Flip-Expo pinball show. The website includes membership details, a newsletter, reports from previous Flip-Expo events and the history of the association. A bi-lingual site, Tilt! is the home of pinball in Italy. The site contains masses of information about Italian games, game conversions and has ROMs for Zaccaria games. There are some behind-the-scenes pictures, classified ads and polls together with personal collection information. Twobit provide some solid information about repairing pinball games, but the information is mainly geared towards professional repairers. They don’t teach electronics, but do have some good links if you need to find out more. 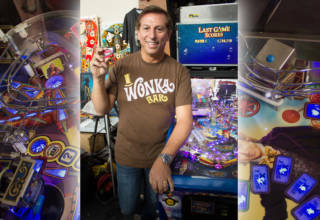 With around a thousand messages a month and fifteen-hundred members, the UK Pinball Group is the hub of online pinball activity in the UK. Just about all the UK’s shows and meetings are arranged through the Group, while machines and parts for sale or wanted are regularly posted by Group members. 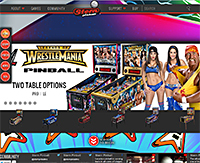 Daveland’s pinball site is the home of the World Pinball Directory – a listing of pinball sites and their machines located around the world. There is also a good links list and news of the latest new games. Your starting point for all things Visual Pinball. Here you can learn all about Visual Pinball, see screenshots, read the latest news and download the latest version of the Visual Pinball code. It also contains links to numerous tables and other VP sites. This is the place to get your PinMAME and VPinMAME software. It describes all the latest additions and bug fixes, has screenshots of the displays for each game type and also has a bunch of links to other (V)PinMAME-related sites.